But still, I’m happy to report Ikon is much better than I imagined it would be. Ikon starts with a light, fresh lemon-ginger note. There is a speedy transition from citrus freshness to notes of cardamom, cedar and decent-quality frankincense. You must pay close attention but cinnamon and clove are also detectable in Ikon. Ikon, in mid-development, reminds me of the Comme des Garçons Incense Series fragrances (but Ikon is lighter, softer, more reserved than those perfumes). The base notes of Ikon smell exactly as I thought they would: vanillic, amber-y and musky (Ikon verges on ‘powdery’ too at the end of its development). Overall, Ikon is an appealing, mid-strength, mainstream wood-incense fragrance. Since I could smell no iris in Ikon, I layered it with Prada Infusion d’Homme (one spray of Ikon for every three sprays of Infusion d’Homme) and the resulting mix smelled good. Ikon also layers well with rose and jasmine soliflores. 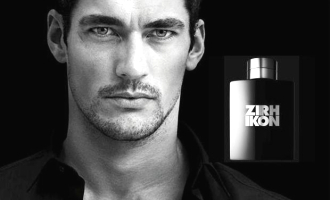 Zirh Ikon is available in 125 ml Eau de Toilette ($50); 250 ml Eau de Toilette ($65); deodorant ($18); and 200 ml hair/body wash ($24). Meh. I'll stick with the CdG series. Is Zirh for “youngish straight men” or “young straight-ish men”? I'll also pass on the “Warrior” shower gel — I need serious help waking up in the morning, but so much help that I snarl at and “conquer” my fellow bus riders at 7am. joe: I will try and report back on the “warriors”…I'm intrigued. Hey Kevin…I am curious about this one. Lot's of the bottles in my usual rotation are power houses, and something lighter on occasion would be nice to mix it up a bit…like for church or inventrory control meetings. My boss sometimes has sneezing attacks when we are in the office together for long periods of time. If I'm getting along with him…I will put on something light …but if he is getting under my skin..I will put on something intentionally heavy like Montale! Yeah I can be a beeyatch sometimes. Ciao! So you think may be in about 2 weeks at TJ Maxx for 19.99? BFL: HA! You are mean…no doubt a “Julius Caesar” in the Warrior gels! Ikon is no match for a Montale…Ikon, if applied reasonably, won't annoy anyone. Eric: I do believe I'm the only one who has worn this so far! But I guess it was JUST released. I need to go to TJMaxx…everyone always finds SOMEthing there! HA! I never find anything there but opened packages of Anais Anais and half empty testers of Giorgio. Let me know if you fare better. I know my fair share of dim gay men too March: just look at the casting on most BRAVO! shows! HA! No chest hair will grow while wearing IKON, but your hair may become full of gel and rise up several inches. Who is the best predictor on this blog?!?! eric: yes, excellent predictor you are. But you were off by $10-15 bucks! Use some Windex on that crystal ball! *any exciting new perfume discoveries I should know about?